'Baghdad Noir' Presents A City Of Diverse Experiences Akashic Books' Noir series visits Baghdad for its latest installment, and the talented writers collected here manage to wrest compelling noir from a place that's plenty dark already. Just when you think the Noir Series from Akashic Books has gone everywhere — Lagos, Montana, and earlier this year, Prague — editors Tim McLoughlin and Johnny Temple (the publisher of Akashic) find a new city or country or locale. The latest entry, Baghdad Noir, edited by Samuel Shimon, identifies neighborhoods and places in which the stories happen, with a frontispiece map showing city districts. However, as Shimon writes in his introduction (his subtitle, ironically, is Baghdad's moniker "Garden of Justice, City of Peace"), there's more going on here than just following a map. The act of writing novels is relatively new in Iraq — the country's first modern novel, Jalal Khalid by Mahmoud Ahmed al-Sayed, was published in 1928. The act of writing crime fiction is even more recent: Shimon notes that Baghdad Noir is the first such collection that he's aware of, and also says "In the Arab world we are not fully accustomed to the concept of commissioning stories around a specific theme or of a specific length — then working with the author on revisions." He continues, drily: "... which posed some challenges." Fortunately for the reader, those challenges did not involve lack of literary talent. The assembled authors are heavy hitters, including Salar Abdoh, who edited Tehran Noir and is co-director of the Creative Writing MFA Program at the City College of New York as well as the acclaimed author of Tehran at Twilight; noted writer Dr. Hayet Raies, president of the League of Tunisian Women Writers; Salima Salih, fiction writer and translator of Christa Wolf (among others) from German to Arabic; and a dozen others, including American essayist Roy Scranton, who "lived in Baghdad in 2003 and 2004 as an occupier, and visited the city again in 2014 as a journalist." Among them these writers encompass, if not a Baghdad entire, then at least a Baghdad of diverse experiences and perspectives, and absolutely a Baghdad focused on the Arabic world and not the Western. "While all Iraqis will readily agree that their life has always been noir, the majority of the stories in Baghdad Noir are set in the years following the American invasion of 2003," writes Shimon. These stories deal with subjects from militia insurrection to a mental hospital to orders from mujahideen to honor killings; what struck me about them was how firmly each story is cemented in Iraqi culture, but how little a sense of geography they allow. I don't think that's accidental, although it may be subconscious. In a city torn apart by history, religion, armies, and insurrection, a sense of geography isn't easy to give — sometimes, as in "The Apartment" by Salih, a character has so much trouble just crossing from one side of town to the other that tragedy ensues. If readers may have trouble recreating Baghdad in their heads, the same won't be so for the Iraqi people (and others) they encounter. In "Jasim's File" by Sinan Antoon, be prepared to meet a quirky and chilling accidental escapee from that mental hospital. "Post-Traumatic Stress Reality in Qadisiya" reveals how desperate straitened circumstances can make a man; Hadia Said's slow reveal of how he obtains the deed to his modest house is superb noir, using everyday details to illuminate gathering evil. "Baghdad House" by Ali Bader, set in 1950, takes on classic noir with panache, in a tale of one George Haddad, an accountant from Basra who checks into a Baghdad hotel that he won't ever leave. Yes, some of these stories go on too long, or have uneven structures, or leave out details that might make them stronger, but I was captivated by seeing how different they all were, how all of these accomplished writers deal with a genre they hadn't played around with before (at least not much). 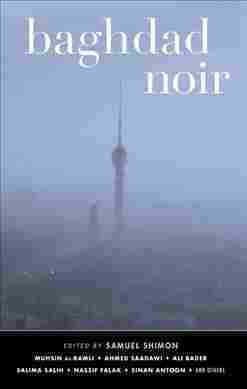 Some of Akashic's Noir titles take place in regions known for idyllic conditions, and their power derives from the contrast. That these writers have wrested surprise from a country with so little peace makes Baghdad Noir one of the most interesting of the lot.